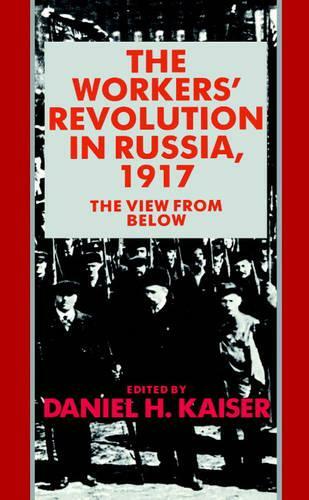 The essays in this book address the process of worker alienation and the way that the Bolsheviks appealed to, rather than exploited, the working population, especially in the capital cities of Petrograd and Moscow. James Bater surveys the growing demographic and social crisis in the capitals that accompanied rapid industrialization. Steve Smith then traces the revolution in Petrograd, particularly in the factories where worker radicalism often outpaced the leadership of parties of the left that came to power after the tsar was overthrown in February. Diane Koenker finds a similar process at work in Moscow, despite the differences between the two cities. Finally, both Ronald Suny and William Rosenberg demonstrate how significant these findings are for a more accurate understanding of the Russian Revolution and ultimately of the survival of the Bolsheviks' government.